"Trees are like people. They need space, water, air, and minerals. They mature, reproduce, become injured or sick, and will eventually die. My philosophy is: treat trees as you want to be treated; they will reward you with benefits you could not find elsewhere." 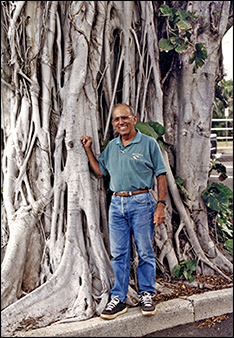 Articles from "Successful Island Gardening", a Maui News Gardening Column by Ernest H. Resents, which was published July 1993 to January 1999.